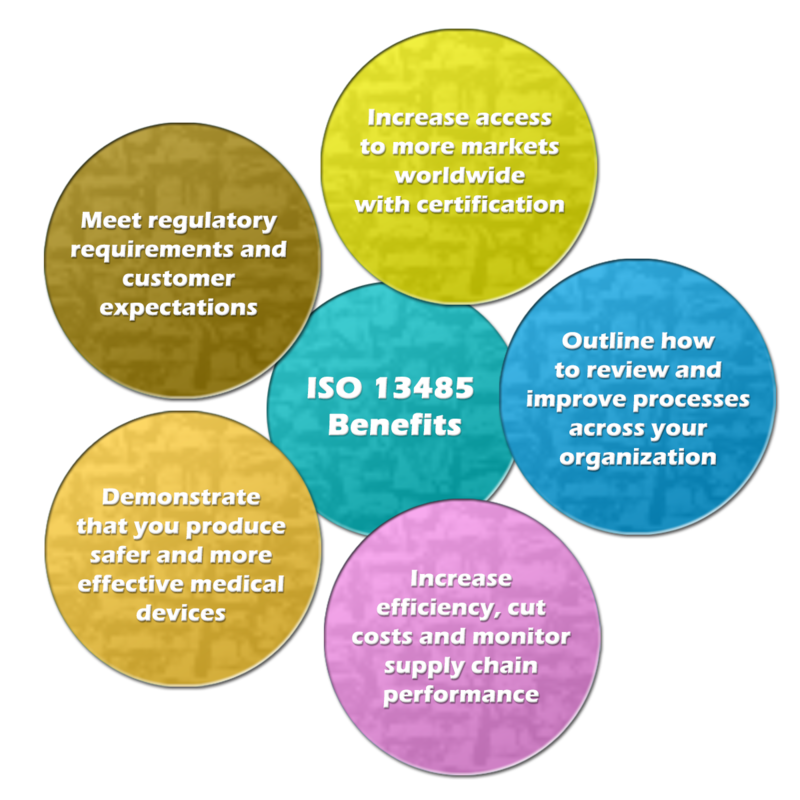 ISO 13485 is a Management Systems Standard specifically developed for the manufacture of Medical Devices. Its primary objective is to facilitate harmonized medical device regulatory requirements. As you implement ISO 13485, it is important to bear in mind that ISO standards are updated periodically — revisions and updates do occur and ISO 13485 is due for an update in the next few years. As quality system standards are updated, you must ensure that your own QMS keeps up with those updates in order to remain in compliance. Implementing a Quality Management System, in general, helps to motivate staff and provide a better definition of roles and key responsibilities. Implementing a Quality Management System specifically tailored for the medical devices industry helps the organization to demonstrate its ability to systematically provide medical devices and services that consistently meet customer requirements, meet applicable regulatory requirements (compliance) and safety standards. Cost savings can be made through improved efficiency and productivity, as product or service deficiencies will be highlighted and corrected. Improvements can be developed on a systematic and monitored base, resulting in less waste, less inappropriate or rejected work, and fewer complaints. Provides a systematic approach to risk management. Systematic, smoother, transparent and documented handling of activities required by regulation such as post-marketing follow-up and surveillance, complaints handling, CAPA implementation, field actions or product recall handling, vigilance and competent authorities reporting, and clinical experience enrichment. Systematic incorporation, at an early stage and within the design and development process, of the regulatory requirements impacting on the product itself and its technical features. Help creating a systematic vision embracing the medical device lifecycle, medical device packaging, its labeling, its installation, its servicing, and its usability. This includes the information provided together with the medical devices, the commercial claims, the unspoken user expectations, the feedback from users or patients, the risks associated with use, the benefits brought to the single patient and to the Community, the costs and the disposal of the medical device. In other words the real benefit that should be pursued and that can be gained by the use of ISO 13485:2016 is the creation of a company’s culture based on the understanding that the regulatory compliance of a medical device is "within" the medical device, intrinsically bound to the “physicality” of the medical device from the moment it is conceived (designed) until it is manufactured. A medical device is simply an object; it can be material (tube, scalpel or machine) or immaterial (software). It is important to understand that such an object becomes a medical device, acquires the dignity of a medical device because it answers to a certain definition given by a regulation, the same regulation that gives the requirements the medical device must satisfy. It is the authors viewpoint that the biggest benefit ISO 13485:2016, especially to manufacturers of medical devices, is the contribution that standard requirements provide in creating awareness -at all levels- that the company will create medical devices, and not only create devices that someone else will need to turn into a medical device. This demonstrates their compliance to regulation as a separate, scholastic exercise.